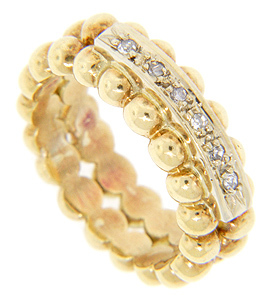 Six diamonds are set in a gold bar across the top of this 18K yellow gold vintage wedding band. 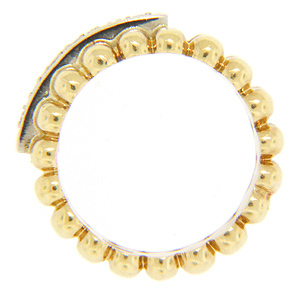 The ring’s design is of a double ring crafted of gold beads. The ring measures 8.35mm in width. Circa: 1950. Size: 4 1/2. Cannot be resized.